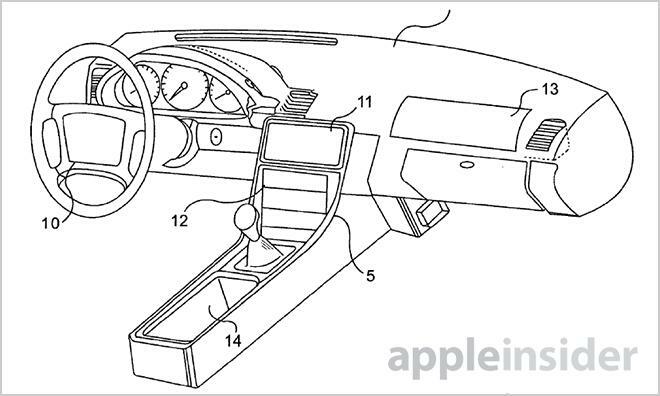 The U.S. Patent and Trademark Office on Tuesday granted Apple a patent for a touchscreen-based telematics system that incorporates embedded controls, such as knobs, sliders, and switches, with a tactile display to give driver's feedback so they can keep their eyes on the road. 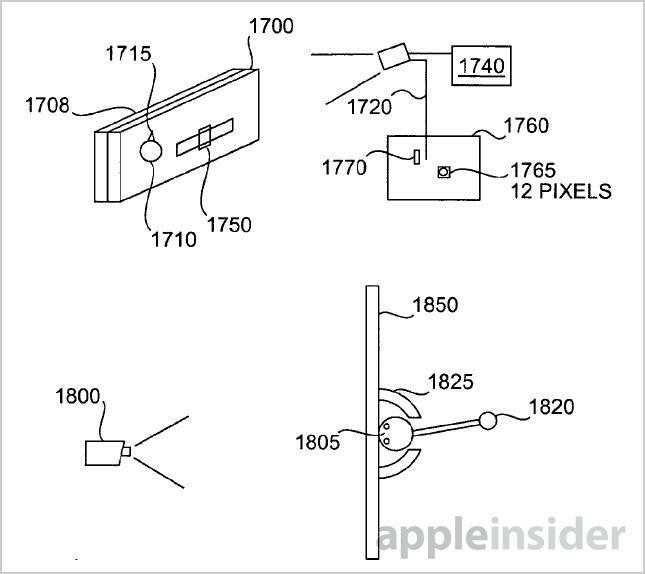 Apple secured U.S. Patent No. 8,482,535 for "Programmable tactile touch screen displays and man-machine interfaces for improved vehicle instrumentation and telematics," which lays out the groundwork for a touchscreen display that allows users to easily and safely operate certain vehicle functions. By employing a screen "feel," or tactile feedback, drivers can more effectively change car settings like temperature control without having to look away from the road. The patent is a continuation of a property filed for in 2011 and subsequently granted in 2006, which itself is a continuation and extension of a very basic multitouch invention from 1992 credited to Canadian inventor Timothy R. Pryor. While the over 20-year-old filing was later abandoned, the original invention is patented under the title "Method for providing human input to a computer," a property assigned to Apple in 2012. 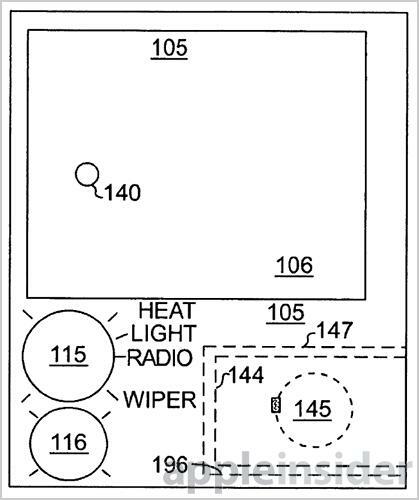 In Tuesday's patent, the multitouch system described by Pryor is adapted to automotive uses, or more specifically telematics and communication via a cellular phone. The invention deals mainly with the center stack, or area of a car's dashboard where navigation, entertainment, and environment controls are commonly placed. Because the system is programmable, it can not only replace current instrumentation, but also take over other car functions like window wiper control. Tactile center stack with image projector (110) and camera sensor (117). Numerous embodiments are covered in the patent literature, including a heads-up display (HUD) embedded in the armrest, screens that respond to laser pointers as modes of input, and even cameras that detect a driver's head position. Most of the examples, however, revolve around a touchscreen onto which images are projected, thus making the system highly programmable and flexible. The screen itself can have raised ridges, indents or other tactile properties to facilitate operation without diverting attention away from the road. Notches, or grooves, and raised ridges are perhaps the most feasible in a real-world system. Some car makers already offer such solutions in their branded infotainment centers. Also mentioned are interchangeable transparent members, like knobs and sliders, that can be placed into a screen overlay for tactile feedback. Lights behind the screen illuminate the controls when needed, and go dark when not in use. In many cases, an electro-optical sensing system is used to manage input. As the patent is quite old, it notes a projector-type setup can be used to display graphical assets next to or on top of the interchangeable sliders and knobs. Examples include "High" or "Low" text, or red and blue color changes for climate control settings. Because display technologies have advanced substantially, the proposed system would no longer require a projection interface, and would likely use an LCD or other modern display tech with capacitive properties. In some embodiments, the system can be paired with voice and gesture control for enhanced capabilities. Apple is already deploying such a method in Siri Eyes Free, and looks to take that further in iOS 7 with "iOS in the Car." 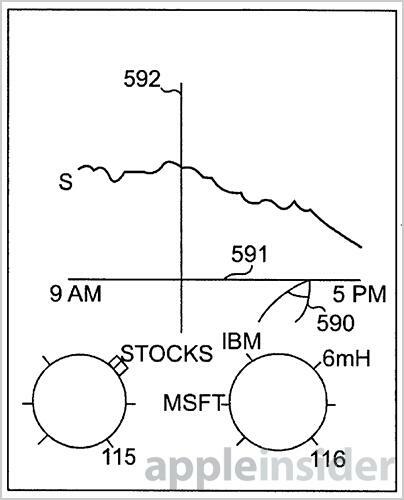 Interestingly, the patent notes that pairing with cellular communications can feed programs, or what we call "apps" today, such as stock tickers or other information sourced from the Internet. Most recently, hidden code in Apple's iOS 7 beta revealed iOS in the Car will likely interface via Wi-Fi communications using the AirPlay protocol. 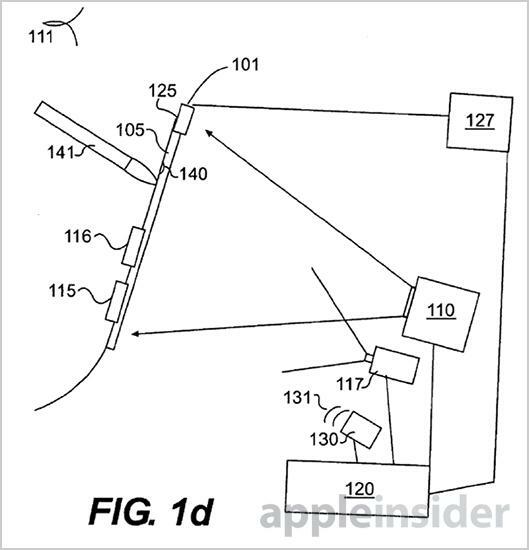 Apple's telematics patent was first filed for in 2009.